NFL Opening Day at home or on the road: No place like home! The 32 NFL teams begin the 2014 season tomorrow with Green Bay traveling to Seattle to take on the Seahawks. 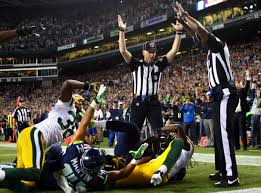 If we go back to 2000, the Packers and the Seahawks are both 8-6 in their season opener since the turn of the century. However, Seattle is 4-0 in season openers played at home while the Packers are 2-2 in season openers played on the road (since 2000). Let’s take a look at the 16 NFL games in Week One and see each home team’s record since 2000 when they opened at home and each road team’s record since 2000 when they opened the season on the road. Green Bay at Seattle: Packers 2-2 in Week One on the road; Seahawks 4-0 in Week One at home. New Orleans at Atlanta: Saints 4-3 in Week One on the road; Falcons 4-0 in Week One at home. Cincinnati at Baltimore: Bengals 3-5 in Week One on the road; Ravens 5-1 in Week One at home. Buffalo at Chicago: Bills 1-3 in Week One on the road; Bears 5-1 in Week One at home. Washington at Houston: Redskins 1-3 in Week One on the road; Texans 5-3 in Week One at home. Tennessee at Kansas City: Titans 3-4 in Week One on the road; Chiefs 3-5 in Week One at home. New England at Miami: Patriots 4-2 in Week One on the road; Dolphins 3-4 in Week One at home. Oakland at New York Jets: Raiders 2-5 in Week One on the road; Jets 4-3 in Week One at home. Jacksonville at Philadelphia: Jaguars 2-4 in Week One on the road; Eagles 2-3 in Week One at home. Cleveland at Pittsburgh: Browns 0-1 in Week One on the road; Steelers 7-2 in Week One at home. Minnesota at St. Louis: Vikings 3-5 in Week One on the road; Rams 4-3 in Week One at home. San Francisco at Dallas: 49ers 3-3 in Week One on the road; Cowboys 2-3 in Week One at home. Carolina at Tampa Bay: Panthers 3-4 in Week One on the road; Bucs 2-4 in Week One at home. Indianapolis at Denver: Colts 6-4 in Week One on the road; Broncos 5-1 in Week One at home. New York Giants at Detroit: Giants 0-5 in Week One on the road; Lions 4-1 in Week One at home. San Diego at Arizona: Chargers 5-3 in Week One on the road; Cardinals 3-2 in Week One at home. Note: Since 2000, six NFL teams have won nine or more Opening Week games of the 14 they played. The Patriots lead the way with an 11-3 record in Opening Week games since 2000. Denver, Indianapolis, New York Jets, San Francisco, Washington are each 9-5 on Opening Week since 2000. The Cleveland Browns have the NFL’s worst Opening Week record since 2000 at 1-13.